Removes tarnish and discoloration to restore natural color, luster and shine to metal. Recommended for use on chrome, nickel, copper, aluminum, stainless steel, gold and most metals. Excellent for decorative/accent pieces, faucets, fixtures, musical instruments, boat hardware and auto chrome. 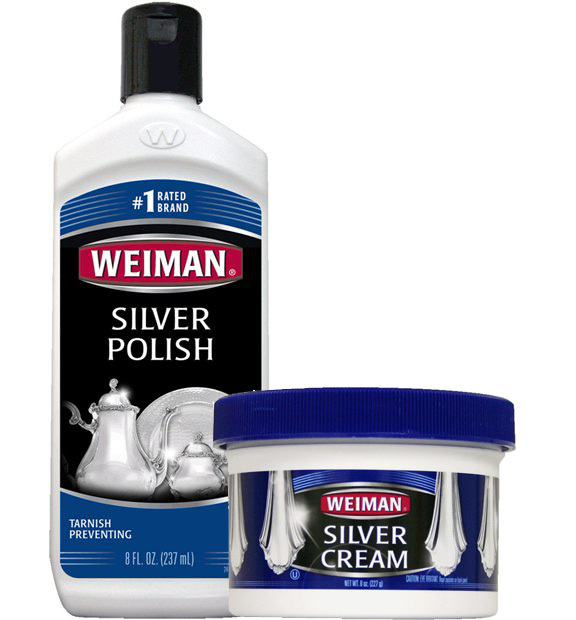 Cleans silver, removes tarnish and polishes to a brilliant shine. Anti-tarnish formula prevents tarnish from returning and keeps silver shining longer. Recommended for use on all sliver including sterling silver, silver plate, jewelry and fine antique silver. Safely cleans and shines copper. Removes tarnish, erases discoloration and rinses off easily with water. Restores copper to it's natural color and shine.